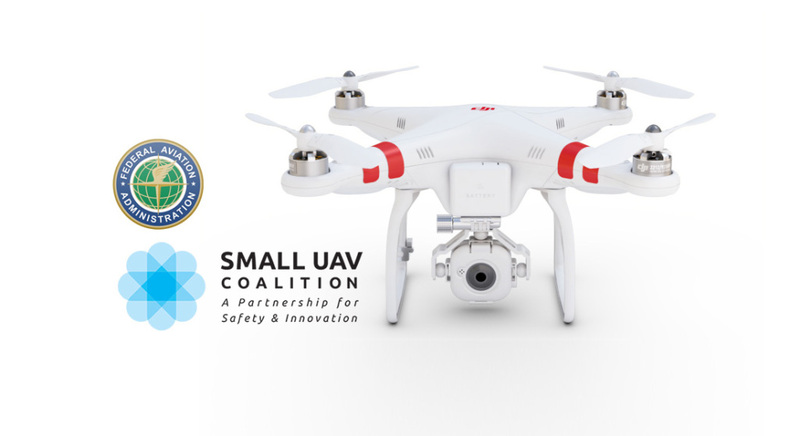 The Small UAV Coalition is very pleased the FAA has at long last published its proposed small unmanned aerial systems (sUAS) rule. At this time the proposed rule has not been made available to the public, but based on a summary provided today and a Regulatory Evaluation released yesterday, we applaud the FAA for creating a flexible framework that appears to be risk-based, as we have advocated, and focused on the technological capabilities of UAVs, rather than simply adapting a set of rules from those currently governing manned aircraft. In particular, we support the FAA’s proposal not to require an airworthiness certificate for small UAVs, and to eliminate any requirement for a pilot to obtain manned aircraft flying experience or a medical exam. We also support permitting operations within Class B, C, D, and E airspace. We also are relieved that FAA is not proposing any new regulation of recreational users. The proposal would not allow any operation over any person not directly involved in the operation. Operations within the visual line of sight should be permitted over persons provided the operator has passed the knowledge test. The proposal is silent on allowing companies to test on private property near their facilities. Testing is essential for the industry to demonstrate to the DOT and FAA that its technology provides for safe and responsible operation. The proposal would limit operations to the period after sunrise and before sunset. Small UAVs should be permitted to operate at any hour of day or night if it can be done responsibly and safely. The proposal would limit operations to 500 feet AGL. We believe the FAA should allow operations at higher altitudes with appropriate safeguards, although we do agree that a requirement to keep an artificial distance from an airport is not risk-based. The proposal will be limited to operations within the visual line of sight of the operator. We are encouraged by the Administrator’s statement today that FAA is studying beyond visual line of sight (BVLOS) operations, as the Coalition is involved in these efforts, and that the exemption process is available for certain operations beyond the visual line of sight. In the meantime, First Person View technology is available now, and is critical to unleashing the power of automation in this space. Until small UAVs are able to go beyond the line of sight, we are not maximizing the technology as other countries already do. Once the proposed rule is available to the public, the Small UAV Coalition will publish a longer and more in-depth analysis. We will also file detailed comments to address these and other points. Technology always wins, and today was vital to ensuring that the United States not further cede its competitiveness to other nations. For more information on the Small UAV Coalition, please visit www.smalluavcoalition.org, contact press [at] smalluavcoalition.org, or follow @smallUAVs on Twitter.